Mobile has revolutionized the world in a number of ways, but with these changes has come a profound challenge to the way we build the best work teams to support the mobile revolution. Among other challenges, the technologies that now power the mobile revolution have become so sophisticated and change so rapidly that they’ve put the professionals who are expert in these technologies in high demand. The result: It’s become increasingly difficult to attract, hire, and keep top talent in the mobile industry, and especially in the IT area, where the use of salary promises, bigger job titles, stock options, and flexible work environments have upended job hiring. One effect of this talent-recruitment challenge is that, over the past 25 years, the IT area has become so fast-moving and competitive that job candidates’ latest vendor certifications and recent work experience have become more attractive to prospective employers than college degrees in computer science and engineering are. Another effect has been the way that employers offer education incentives to tech-savvy employees hungry for an additional bachelor’s or master’s degree, but who then try to lock these more valuable professionals into employment for a certain period of years in order for their tuition costs to be repaid. There are better ways, however, to manage this talent-recruitment challenge, and it’s crucial that we in the mobile industry as well as the larger IT industry begin embracing these approaches, or risk losing talent. In particular, loyalty is a key element that we must do a better job of instilling. Loyalty is earned, as the adage goes, but it also can be taught. And one of the best approaches to building long-term loyalty is putting in place a good mentoring program. Mentoring enables stronger team bonds to be built that deliver benefits to both IT employees and their mentors. To begin with, a mentor can greatly ease the onboarding process for new employees by helping them get oriented more quickly as well as helping the employees’ direct managers not have to take on all of this process themselves. Additionally, a mentor can provide a lot of help with day-to-day matters by helping employees with routine logistics questions and needs. 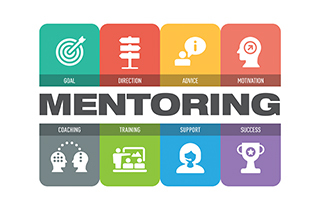 More long-term, mentors can provide valuable coaching on how to ease into an IT role, telling of their own experiences and relating it to a similar role basis, and mentors can offer advice on the best people to meet to expand an employee’s network relative to the employee’s IT role. And, perhaps most importantly, mentors can serve as a consigliere for an employee when a difficult situation comes up, offering advice in confidence, building trust, and earning the loyalty of the employee. Walking the floor – It’s amazing how easy it is for managers to get pulled into the slipstream of their work day and then fail to physically interact with their teams because they don’t pull themselves away from their offices. Making it a priority to periodically get up from a desk, walk through a team’s work area, and engage team members in casual conversation is a simple but underappreciated step that many IT managers can take to effectively build loyalty with their teams. Video calling – Today’s standard phone technology makes it a lot easier to do video calls instead of regular voice calls, and IT managers should take advantage of this capability whenever they can. This video capability can help enable much more personal and engaging communication, and help with earning employees’ loyalty. Doing impromptu lunches – As with walking the floor, this is an opportunity that can be easy for IT managers to lose sight of. With many IT managers’ schedules, it can be tempting for them to do quick lunches at their desks, but taking the initiative to invite and spend unscheduled time with employees can be invaluable in building a bond of loyalty with them. These are just a few basic steps that IT managers can take to start establishing more of a mentoring culture, but there are many more. The main idea here is that establishing a mentoring relationship that works and is repeatable is key to maintaining consistent dialogue and allowing a team to know what to expect from a leader. Likewise, having other employees serve as dedicated mentors is invaluable to nurturing an employee’s career and gaining their loyalty. The better we can implement these programs in IT and mobile, the more successful we can be in instilling loyalty and retaining the best talent. As Director of Global Enablement and Operations, Joe Edwards leads enablement and process improvement efforts for the Global Solutions Engineering team at Syniverse. His career includes more than 25 years of building teams and effective processes that positively impact a company’s culture. Prior to joining Syniverse, Joe served as CEO for E-Velocity Technical Consulting and, earlier, in a number of senior positions for leading technology companies, including Juniper Networks, IBM, and Cisco. He holds a Bachelor of Science in computer science from the University of Cincinnati. « 5G: Where Are We Now?